HID conversion kit selections have become incredibly popular among drivers and car owners these days because of the amazing benefits it provides to them. Although some have known about the benefits of the HID kit for a while now, others have remained unaware about it leaving them to settle with the older, traditional technology for the headlights on their vehicles. So to give some light and direction to your journey on the road, get to know more about the HID conversion kit. HID basically stands for “High-Intensity Discharge” that is commonly associated with bulbs, lamps and lights in general. 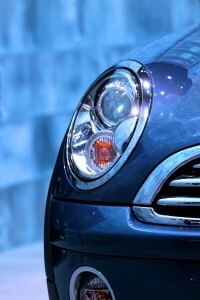 It differs from the bulbs you often see from other vehicles that use standard older headlights. HID also called Xenon bulbs, which are used in the HID kit, produces light with the use of an ‘electric arc’ located between ‘tungsten’ electrodes, that can be found inside a transparent or translucent fused quartz or alumina tube. There are two main types for HID kits: the Single Beam and the Dual Beam. For the Single beam, drivers can use their lights for either high or low beam. The common bulb size for this type includes ‘H3’, H7, ‘H1’, H8, H11, H16 9005, 9006 and 880. For the Dual Beam, on the other hand, drivers can expect HID on both high and low beams, making it more expensive than the first option. For the bulb size, you can look for H4, H13, 9004, 9007 and 9008. Why Convert to HID Kit for your Car? Aside from the fact that the HID kit is getting more popular and trendy these days because these headlights are sleek, beautiful, stylish and much safer, there is no doubt about its state-of-the-art technology making it very conducive and useful, especially on the road. Deciding to convert your headlights into HID would definitely give you greater output of light on the road as compared to the traditional halogen lamps. It can produce a quality of light 3 times higher than this older option, which could practically offer you almost 70% more light-covered road during your trip. With this feature, drivers can have a much more safe driving experience since their visibility of the road ahead is greatly improved. Moreover, unlike halogen bulbs, HID could last for up to 4 – 10 years as they are often equipped with enhanced durability that can withstand greater amount of shocks and vibrations on the road. You should also know that regardless of the fact that HID conversion kit gives 70% more light, it amazingly saves more power for up to 25% as it has a power-saving consumption feature making it more a wise and practical choice for automobile headlights. So if you have made the decision to convert to this kind of headlight technology for your vehicle, then there are some great companies that specialize in a HID conversion kit for almost any vehicle.